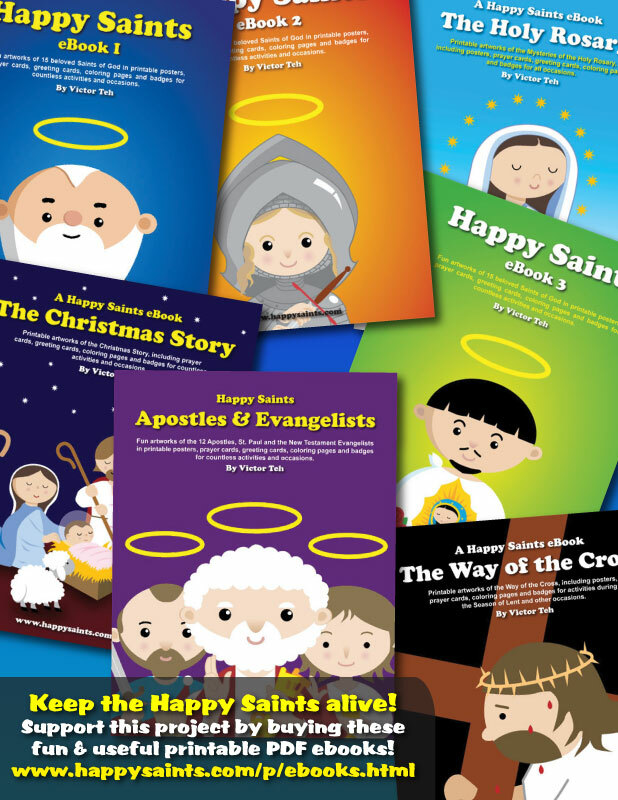 Happy Saints: Help Keep The Happy Saints Alive! Help Keep The Happy Saints Alive! Print and share Happy saints posters, prayer cards, greeting cards, badges, coloring pages for religious education, homeschooling or plain good fun! Looks great on tablets too! I have purchased key chains for myself and others. Thank you for using your talents and gifts for God's glory. We are all very happy! T. W.